When I moved into my house I had to clear a lot of junk from the yard as a hoarder used to live here. Consequently there wasn’t much of a garden. All I really had was a grapevine and an orange tree. A lot’s happened in the ten years I’ve been living here and at this time of the year the fruits of my efforts come to the fore. Part of the garden makeover involved planting two native frangipani trees which look glorious this time of the year with their small yellow flowers. I have numerous bulbs too but they don’t always flower and this year everything has. 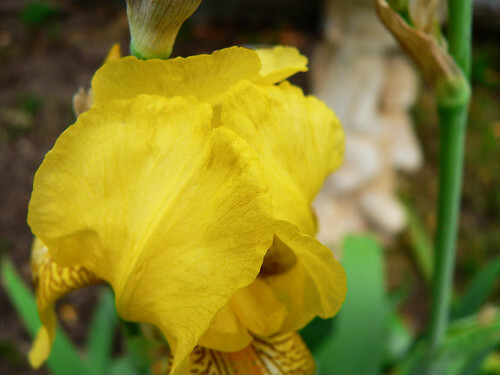 My bearded irises had taken a break for a couple of years. 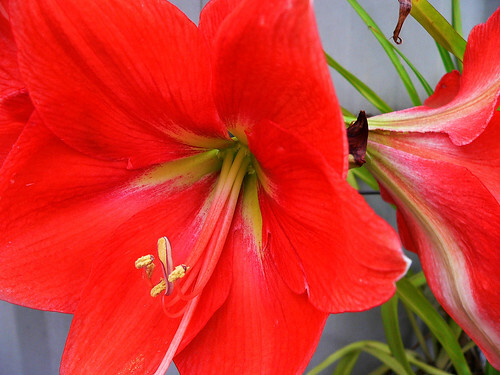 And so had this plant, a red Hippeastrum. 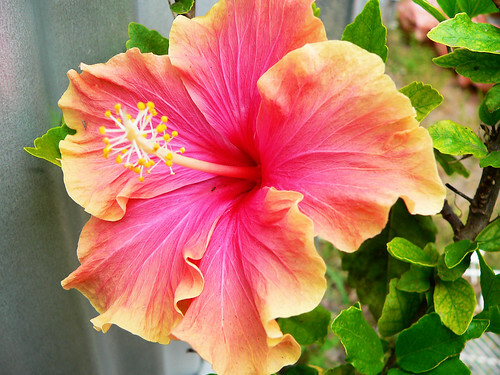 While I was walking around my garden taking photos I noticed one lone hibiscus flower on one of the bushes. 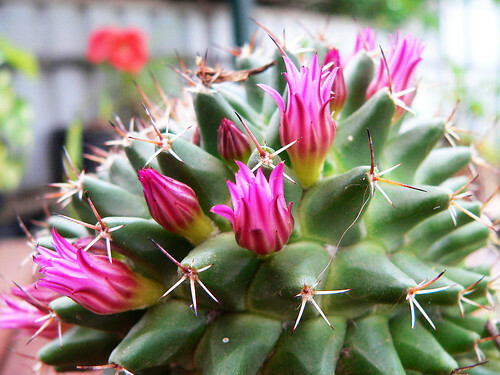 Last but not least this cactus is having its first year flowering. A friend bought it for me quite a few years ago and I’ve never seen it flower before. The flowers look beautiful and the photos are amazing! Thanks PlanningQueen. I love taking photos of flowers. Oh wow – how beautiful!! 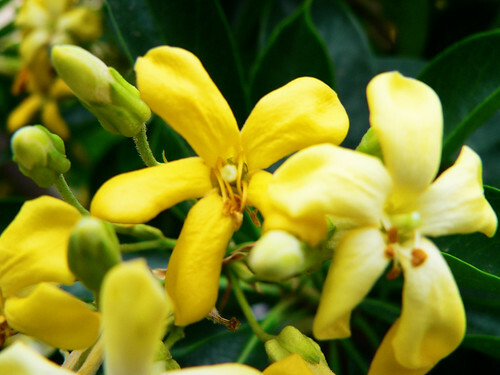 Our frangipanni is much creamier than yours – does that one have the overpowering scent? It truly signals spring in our yard. Spring is 7 months ago or 5 months still to come – and even when it gets here there is no way that I could grow frangipani or hibiscus in the garden.